A new version of the Android Market numbered 3.3.11 is now being pushed out to select handsets. 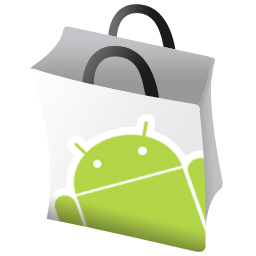 For the impatient, our friends over at Android Police have pulled the APK and have made it available for download. They have stated there seems to be a few glitches and minor kinks after installing it on Honeycomb devices, so for those wanting to throw it onto a Motorola XOOM or Samsung Galaxy Tab 10.1, maybe you should hold off. In the update there are a few minor UI changes along with a new app drawer icon. You will also find a new star rating in each app page along with a new “Update over Wi-Fi only” setting which has been desperately needed for some time. Feel free to download and install right over your old Market. Some users may encounter a signature error, but for you rooted users, you can use Root Explorer to replace the two APKs. Enjoy. Update: Both Tim and I are dealing with massive Force Close issues with this market. Some are having no issues at all. Seems to be a toss up. Others are having issues seeing their apps, download and installing, etc. A couple of readers even reporting issues rolling back after updating. Clearing “cache” and “data” in Manage Apps may fix the problems though. Proceed at your own risk. Update 2: After installing, be sure to “clear data” in Settings>Applications>Manager Apps>Market. This should clear up any issues that you may have.